Setting up iPhone services can be slightly confusing at times, especially if you are used to working with Android devices. This guide will explain how to set up voicemail on iPhone. This voicemail setup procedure should be similar regardless of what iPhone version you are currently using. There may be certain settings or features that have a different name. But all and all, this is how to setup voicemail on iPhone. The voicemail setup procedure may differ slightly, depending on your carrier. Below are the basic steps you need to follow. If you discover these steps do not apply to you entirely, you may want to contact your carrier to find out exactly how to set up voicemail on iPhone for their service. Tap on the Phone icon to open up the Call settings tab. Choose Set Up Now. If you there is no “Set Up Now”, your voicemail may already be enabled. If you can set up your voicemail service, first, you must create a password. Tap Done once you have created your voicemail password. Re-enter the password to verify it. This is how to set up voicemail on iPhone. 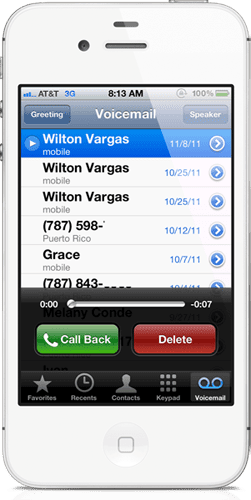 After the setup process is complete, you can personalize your voicemail greeting. Below are the steps you need to follow to create a unique voicemail greeting. There may be situations in which you’ll want to reset the voicemail password. In the following sections, we will show you how to reset your voicemail password. Much like the voicemail setup process, to reset your voicemail password on iPhone, you’ll probably need to contact you carrier. 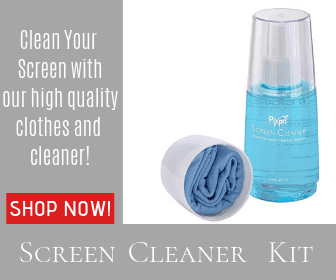 They can provide you with further details on how the procedure works. 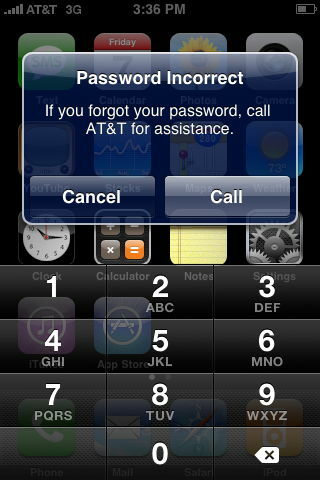 The guidelines below illusrtate how to reset a voicemail password on iPhone on AT&T and other carriers. Call AT&T customer service at 611 or 800-331-0500. Press 3. This will bring up the voicemail assistance instructions. To reset your voicemail password, you will have to press 3 once again. When prompted, enter your billing zip code to verify your phone number. You can also reset your iPhone voicemail password online. Perform the myAT&T login steps to access your account. Select Ok. You should now have a new voicemail password. There’s also a third way of resetting your voicemail password on iPhone. With this method, you won’t have to contact AT&T customer service, or log in to your myAT&T account. Hold the 1 key for a couple of moments. A prompt should pop-up, telling you to insert your current voicemail password. Instead of typing your voicemail password, write 4-2-1. This code will allow you to change your password. 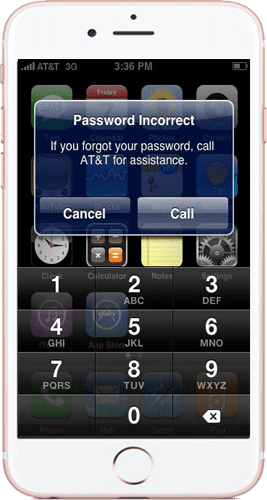 The “Password Incorrect – Enter Voicemail Password” message should show up after entering the code. If you happen to have a different carrier, like Verizon or Sprint, and still be in need of resetting your voicemail password for your Apple device, there are a couple of options for you as well. And they are far simpler than the ones from AT&T. The second method would be to simply call your service provider’s call support and let them guide you through the process. Below, you can find the customer support numbers for AT&T, Sprint, and Verizon. Hopefully, this guide has shown you how to set up voicemail on iPhone and how to reset voicemail password. If you need further assistance, you can contact your carrier or the Apple customer service department.